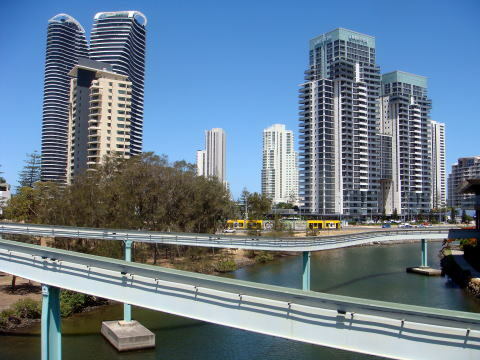 located at 94 kilometres south of the state capital Brisbane. 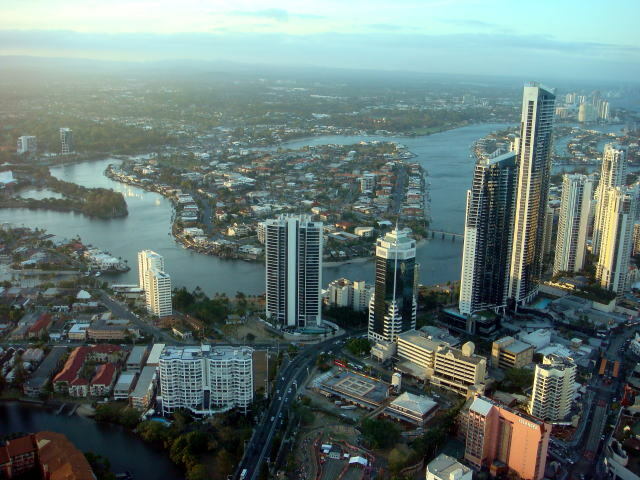 It is the most populous non-capital city in Australia. 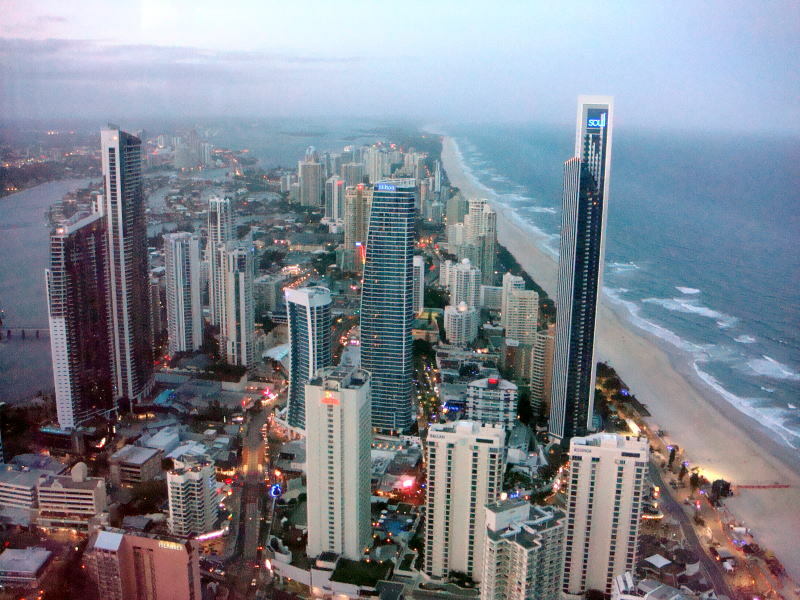 Gold Coast experiences a subtropical climate, with warm winters and hot, humid summers. 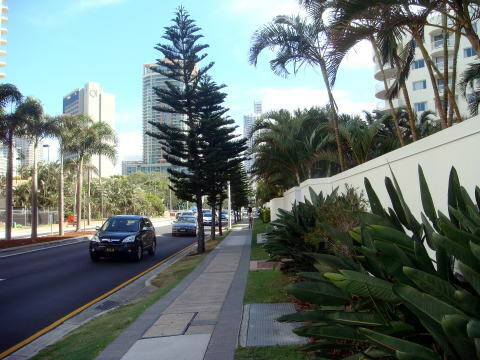 the summer blues, while winter is pleasant and warm with little rain. 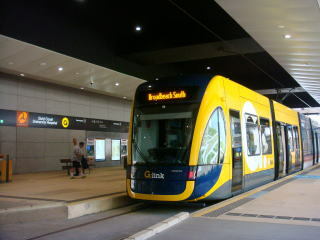 (L) Broadbeach South Terminus: There is a plan to extend the Gold Coast Light-Rail track to the Goldcoast Airport. 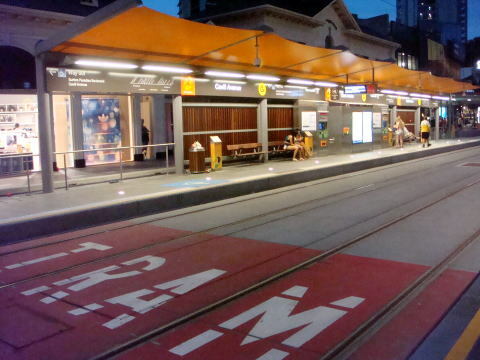 (R) Automobile is prohibited to run the tram track space. 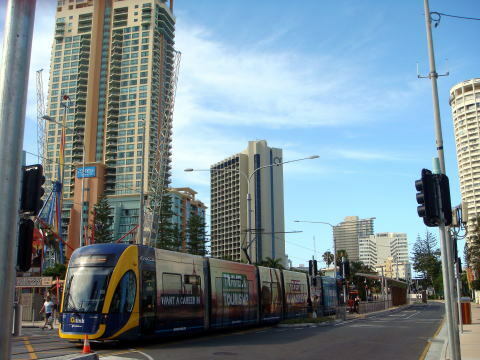 (L) Light-Rail train is running on Gold Coast Highway, near the Palm Avenue. 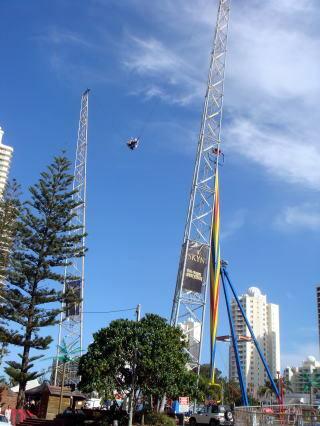 (R) A sling shot: This amusement machine is located near the Cypress Avenue station. 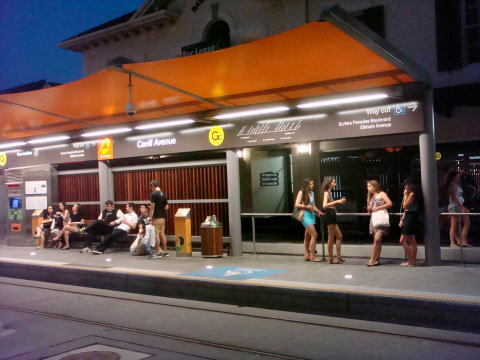 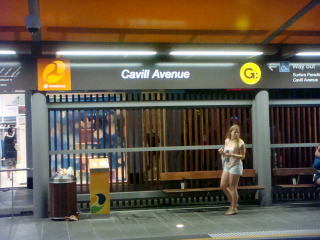 Cavill Avenue station, which locates in the centre of Surfers Paradise commercial district. 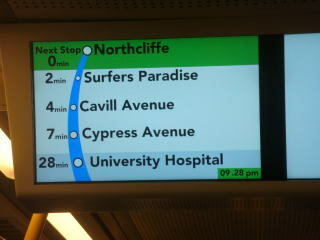 (L) The train runs every 15 minutes until the midnight. 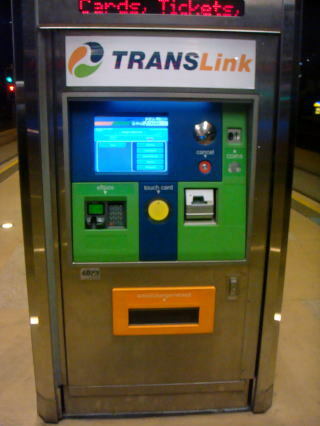 In weekdays, it runs every 7-8 minutes between 7:00AM - 7:00PM. 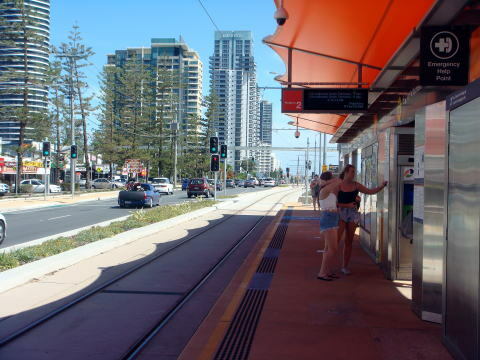 (L) Train guidance panel inside (R) Many police officers are on alert in Surfers Paradise. 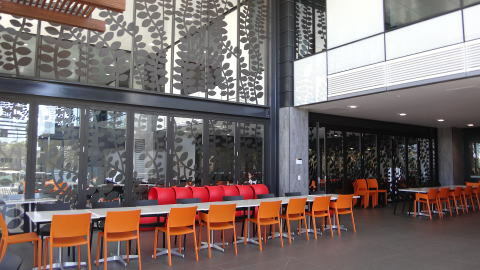 the key activity centres of Southport and Surfers Paradise opened in July 2014. 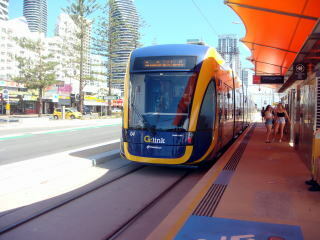 G:link, also known as the Gold Coast Light Rail, is a light-rail system on the Gold Coast, Australia. 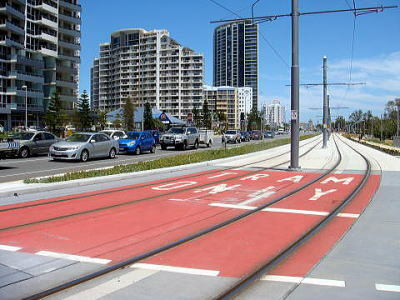 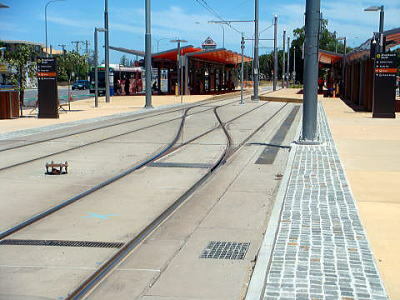 The first stage of the project is a 16 station line between Griffith University and Broadbeach. 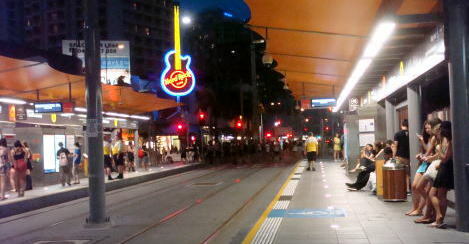 The line is 13 kilometres long. 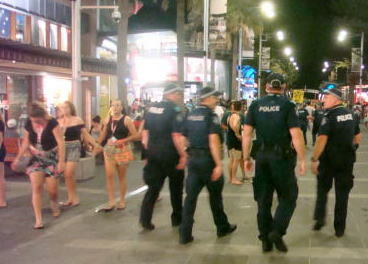 Many high-school students are gathered in Surfers Paradise. 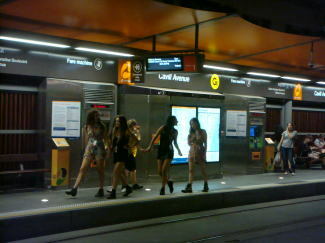 Girl students are cavorting around the Surfers paradise. 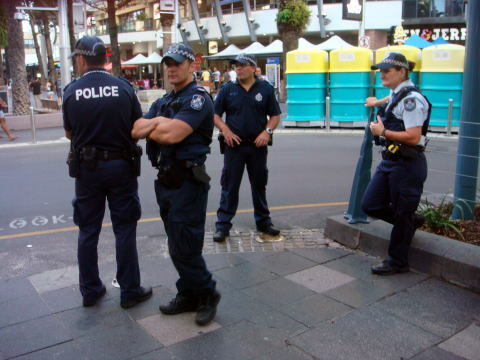 Police officers are in alert in the town. 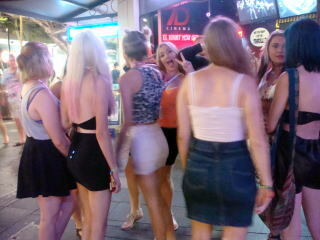 So many good-looking girl-students were enjoying their time in the Surfers Paradise. 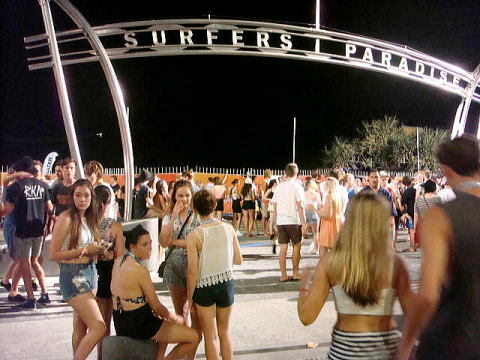 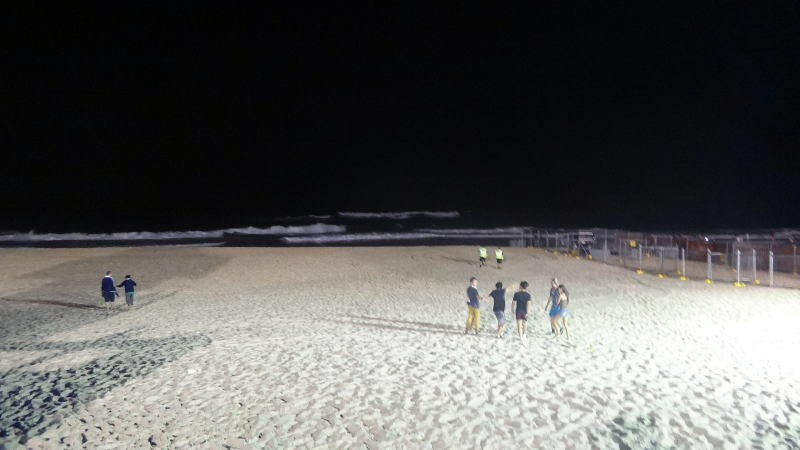 High-school students are gathering to the venue held at the Gold Coast Schoolies. 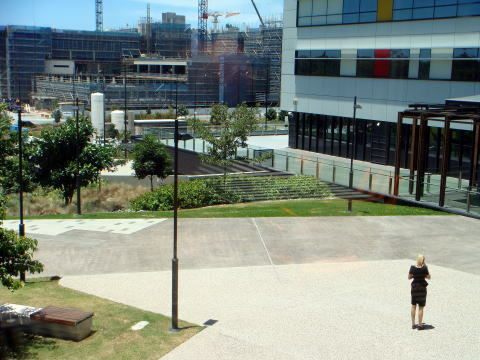 of high-school graduates having week-long holidays following the end of their final exams in late November and early December. 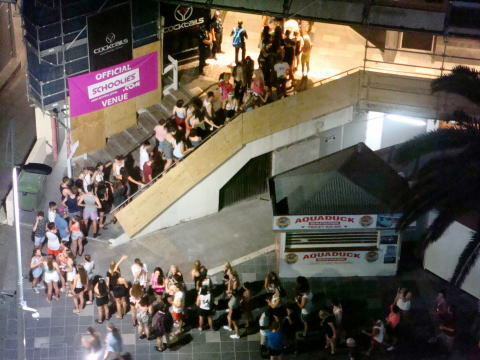 Schoolies-week is seen as a final party with schoolmates before they head their separate ways. 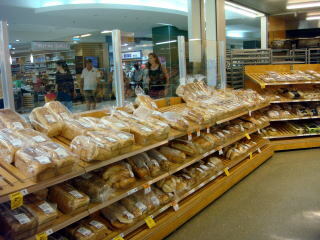 A supermarket in Surfers Paradise: The price of goods is not inexpensive. 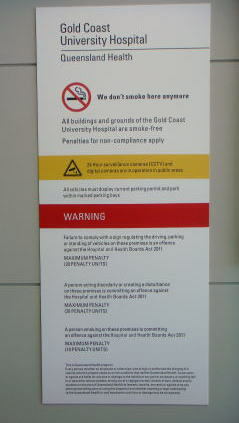 and Exhibition Centre and the Oasis Shopping Centre. . 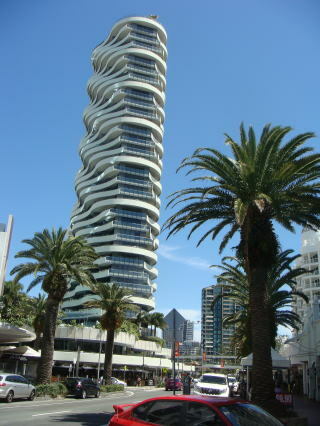 The new apartment blocks include The Wave, The Oracle. 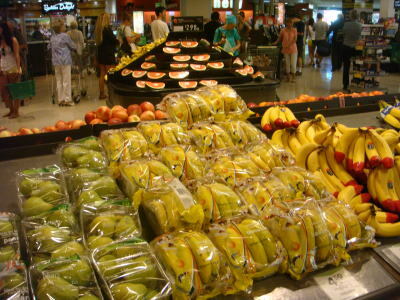 Against to expectation, the price of fruits is rather expensive. 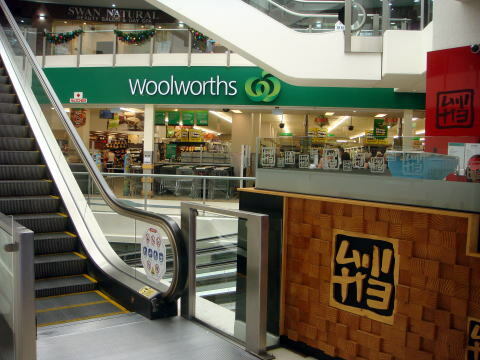 Roast chicken and beef are inexpensive. 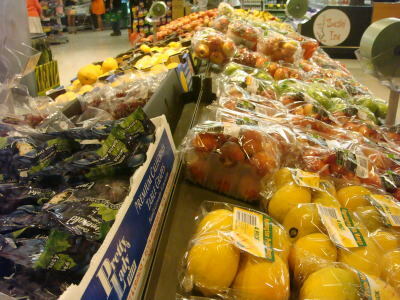 Peanut produced in Australia was cheap. 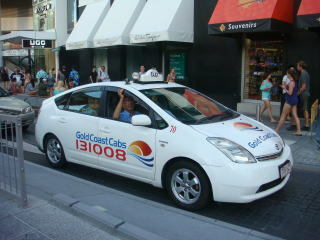 However, the price of Coca-Cola cost Aus$ 350 for a 600 ml bottle. 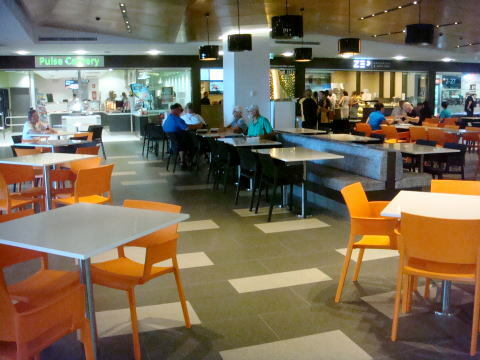 A mineral water is also expensive. 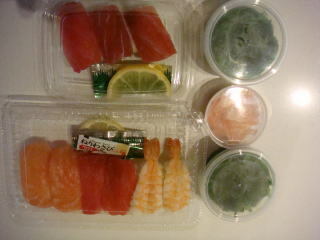 These are about four times of the prices in Tokyo. 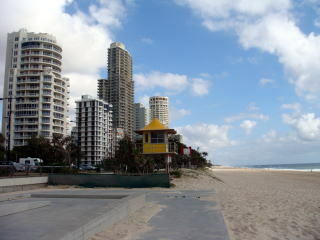 (L) High-rise buildings stand close a long beach in Surfers Paradice. 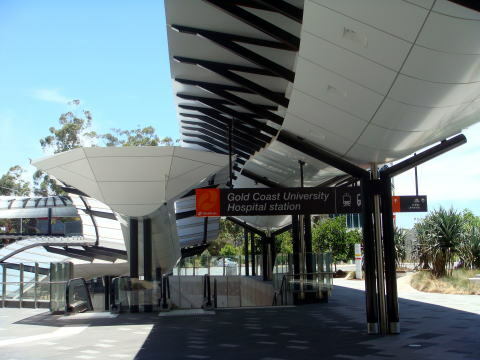 A monorail linking Casino: However, it is closed at present. 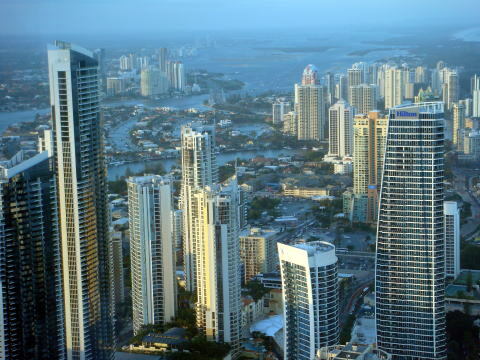 This shows new unique buildings, which includes a $850 million two-tower luxury apartment and The Wave a residential skyscraper. 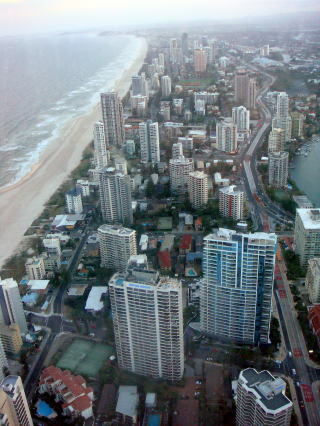 The pictures show a panoramic view to the north of Gold Coast (left) and to the south of Gold Coast. 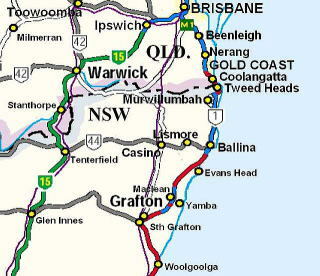 The state border between Queensland and New South Wales is located in the middle of Gold Coast International Airport. 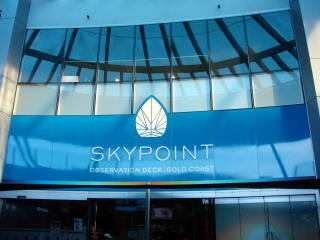 A direct flight passenger from Singapore is increasing; a passenger form Japan is decreasing in 2013.
completed in September 2013. 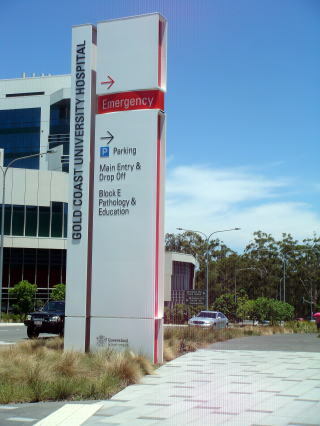 The hospital was built on the site of Greenfields next to Griffith University. 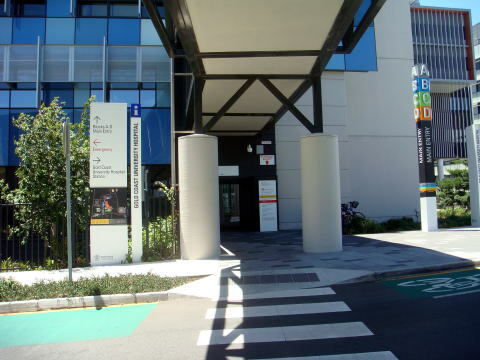 cancer and cardiac services, neurosciences, trauma and neonatal intensive care services. 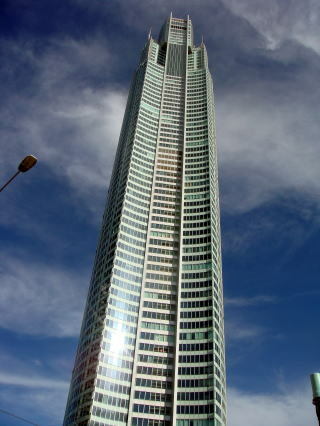 (L) Another building is under construction. 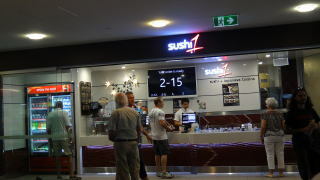 (R) Sushi in the cafeteria provides a good-tasting sushi.